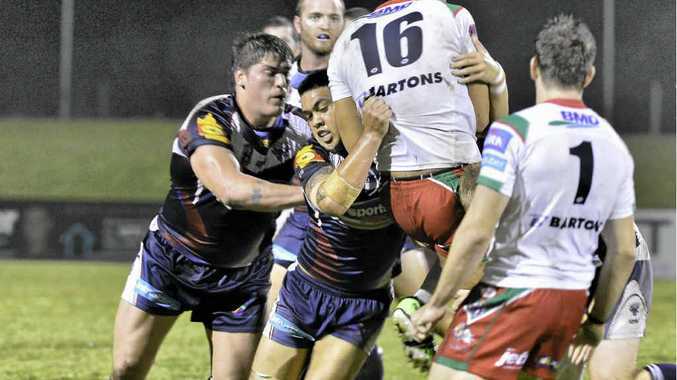 A HEALTHY Gladstone crowd has been highly praised by Capras coach Jason Hetherington after a commanding win over the visiting Wynnum Manly Seagulls. After building a strong lead during the second half in greasy conditions, the Capras held out the Seagulls to the delightful roar of the local crowd, which showed vigorous support throughout the match. An upset win, the Capras coach was very enthusiastic in support of his troops and the Gladstone offering, following the match. "It is wonderful support, I want to personally thank Gladstone for embracing and supporting us," Hetherington said. "The game before was a cracker, which helped a lot." Local Valleys product Smith Samau was as happy as Hetherington about being able to deliver a win, playing solidly in the backline, while not seeing too much of the ball in the difficult conditions. Samau was glad to deliver the top-notch performance to Gladstone, with three more matches to come to Marley Brown Oval this year. "It is good to play at Marley Brown," he said. "The way the crowd was tonight, I just love playing in town here."